As seen the XXL magazine and Vibe magazine, this pair of exceptional quality all over Genuine Alligator Shoes are handmade by one of the finest exotic Italian Shoe manufacturers, Mauri. 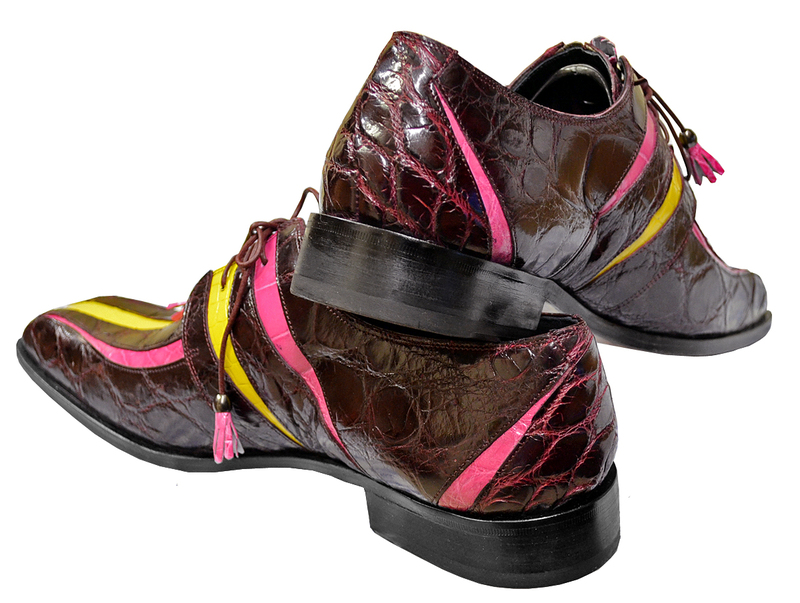 Mauri offers sensational shoes that are completely hand crafted and hand stitched in Italy. The inside is a butter soft lambskin leather for superior comfort and the sole is hand stitched in leather for excellent traction. The insole is cushioned for added shock absorption. These shoes will fit a Medium width up to a "D" width due to the soft lambskin interior leather. 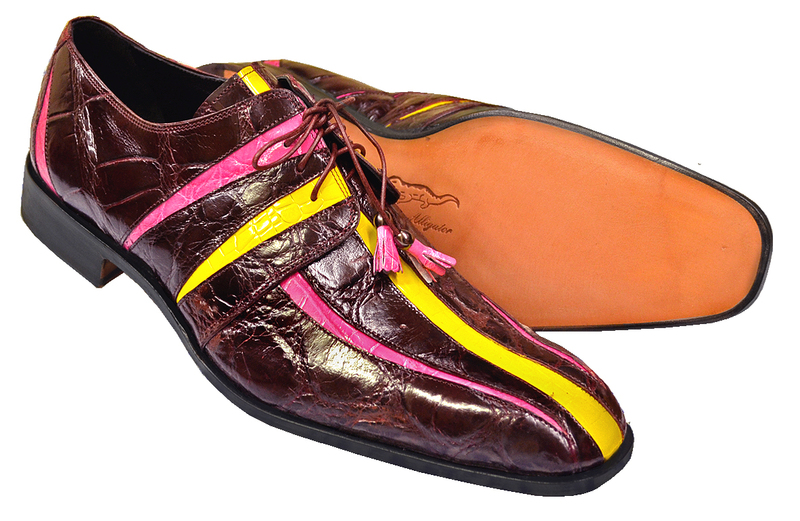 Mauri's All Over Genuine Alligator Shoes do not use the "painted-on" process to color these shoes like other manufacturers; instead, they use a special aniline process to dye the premium grade leather so that the selected color permeates the skins thoroughly. The skins maintain its color for a lifetime and become more beautiful with age.